Home > Google News > Misc Google > Google On Right To Be Forgotten: We Want To Hear From You. Google On Right To Be Forgotten: We Want To Hear From You. 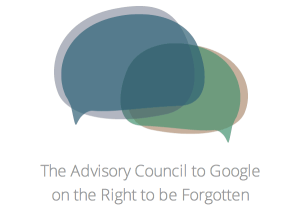 Google has an advisory council specifically designed around the Right To Be Forgotten topic. On the council are well known personalities and leaders around the world, who help Google determine what they should remove from the Google search results through The Court of Justice of the European Union mandate and what should not. Since Google has to listen to these request, Google has to make individual judgments about each and every request. Making such a judgement call may be not so black and white, thus all the confusion around what Google should remove, has removed and should not remove. Google says on Google+, "We’ve asked a group of outside experts to help advise us on the issue and they want to hear from you: How should we balance this right with the public’s right to know?" To submit your feedback, go to google.com/advisorycouncil and fill out the form.